I just seen the commercial for this. What Sprite is doing is bringing the ruckus, bringing the noise. 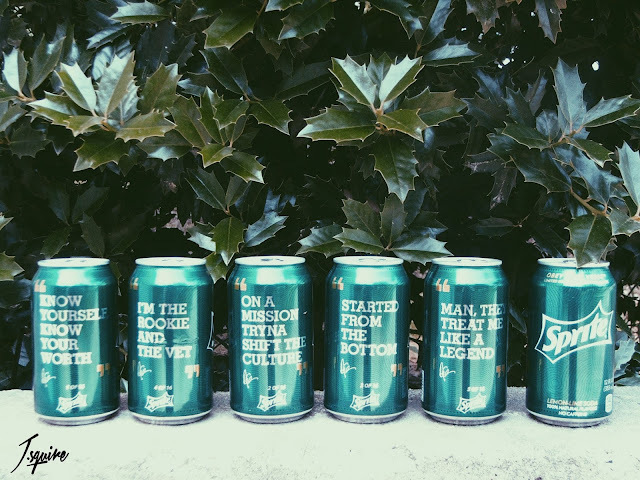 In the form of artist cans. Looks to be the regular cans, that fill a 12 pack. No info when they will be hitting the stores. I'm guessing this week. You know I'm on the lookout. 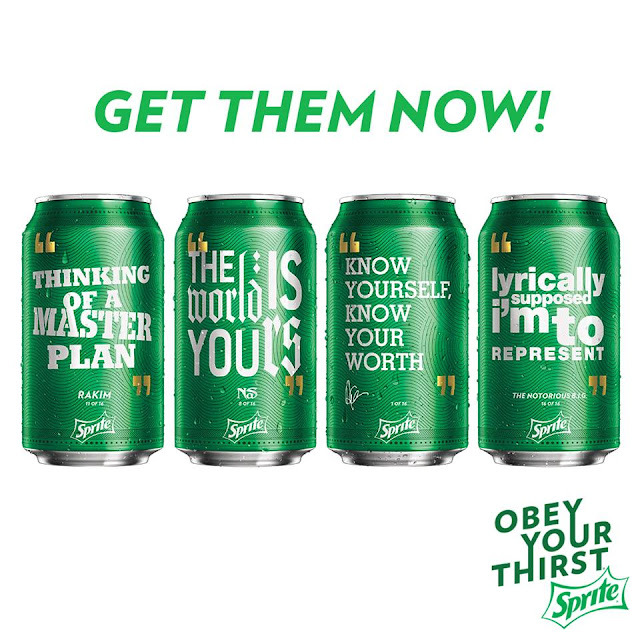 Drake and Nas perform in front of cheering fans during a recent Sprite-sponsored concert to celebrate the launch of the Sprite Obey Your Verse Lyrical Collection, a limited run of sixteen bottles and cans featuring lyrics from Drake, Nas, Rakim and The Notorious B.I.G. 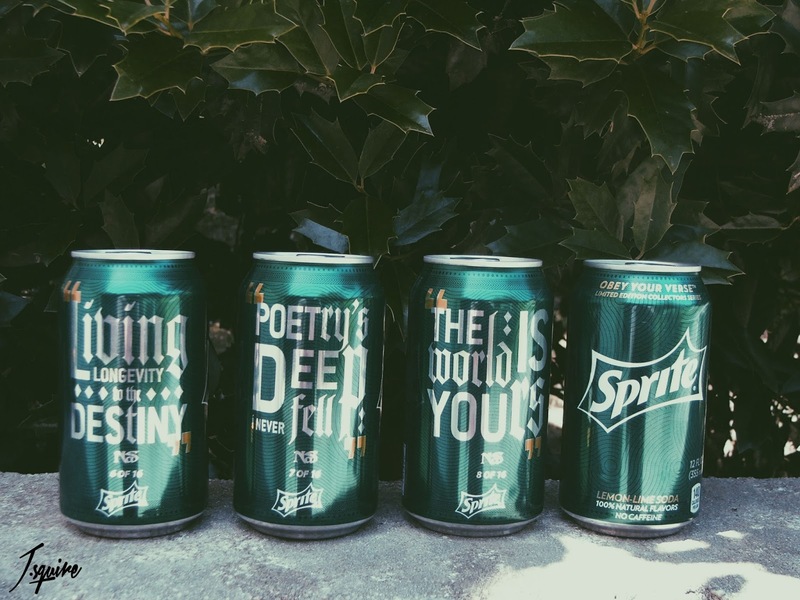 Sprite moves fast. I went into the store today and they was already setting the packs up. I was there early in the morning. I had to get a couple things.I only got one pack with the thought that it would have 12 different ones in the pack. Nope, I got a Nas pack and Drake. I think I have 4 that was an repeat of one of the Nas cans. 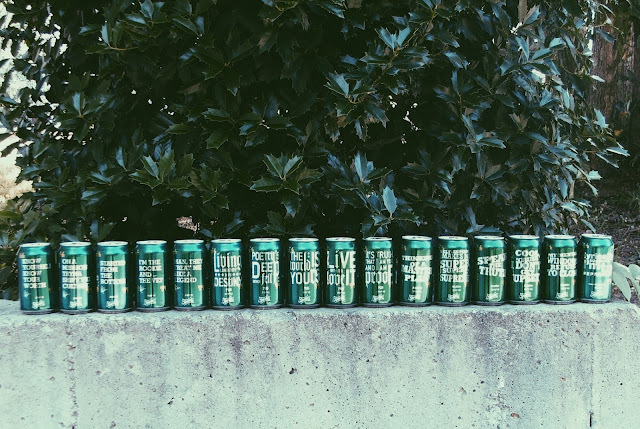 So I have to find the other seven cans. I'm planning on buying two more packs. Hopefully they're in it. If not, I'll just buy some more? I don't know. 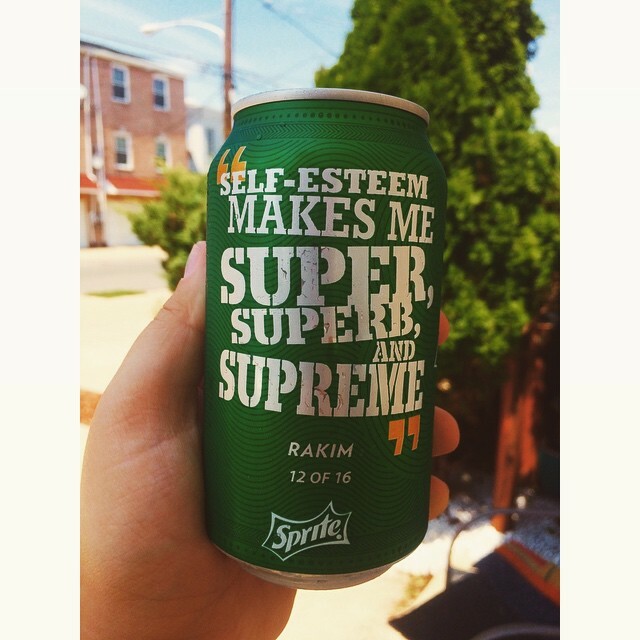 The good thing about this, is that after I collect the 16, I can just drink the rest. 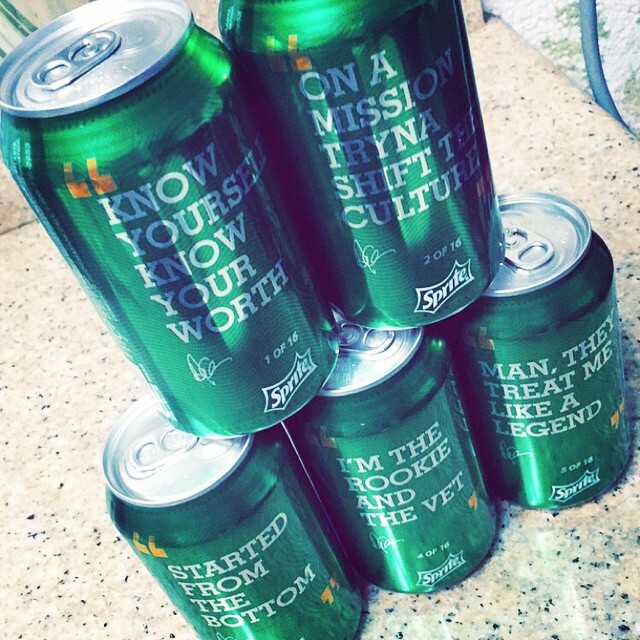 Sprite for days. Update: (6/15/15) 7:32pm. I have collect them all. The search has come to end for me. 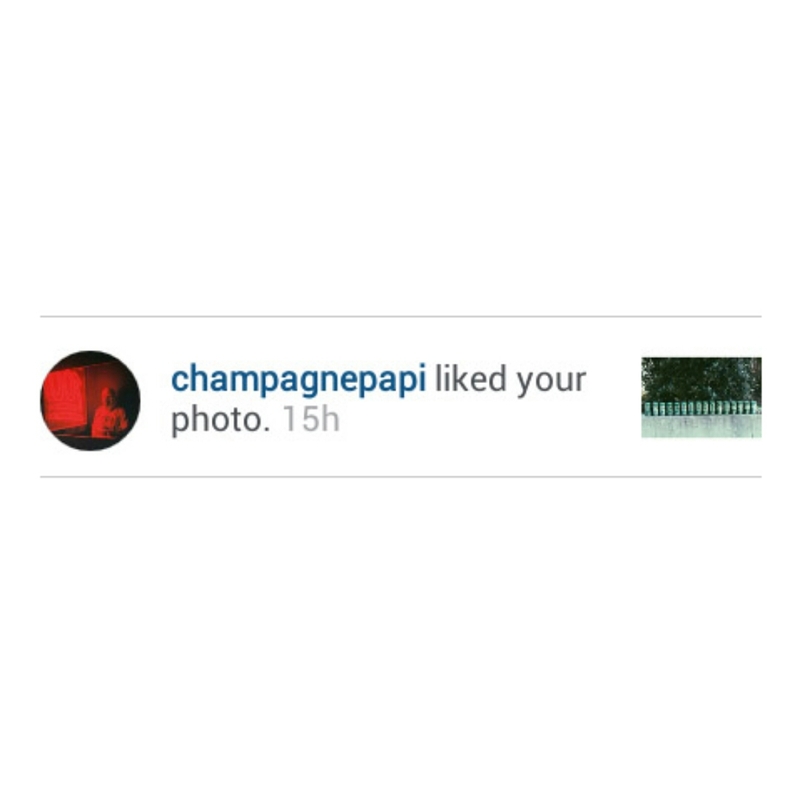 Update: (6/20/15) Drake knows what's up. Update: 6/30/15. I want to see the ones you guys like the most, show me your verse. 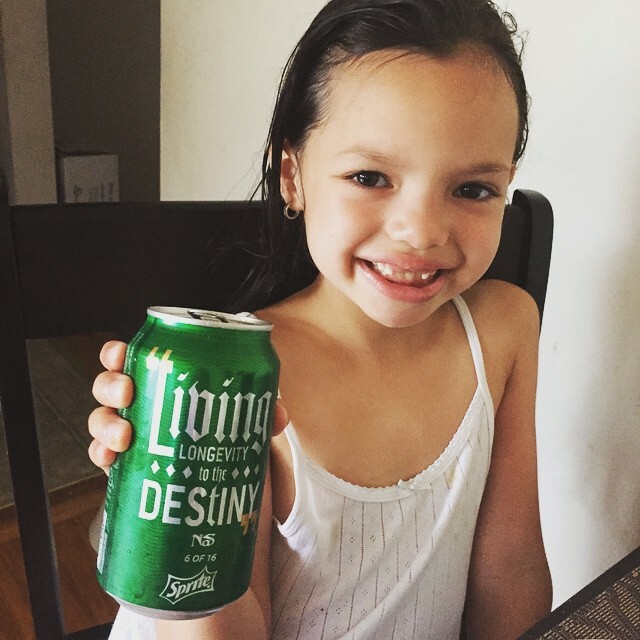 My niece Aiyana loving the Nas quotes. Thanks for the photo Crystal.